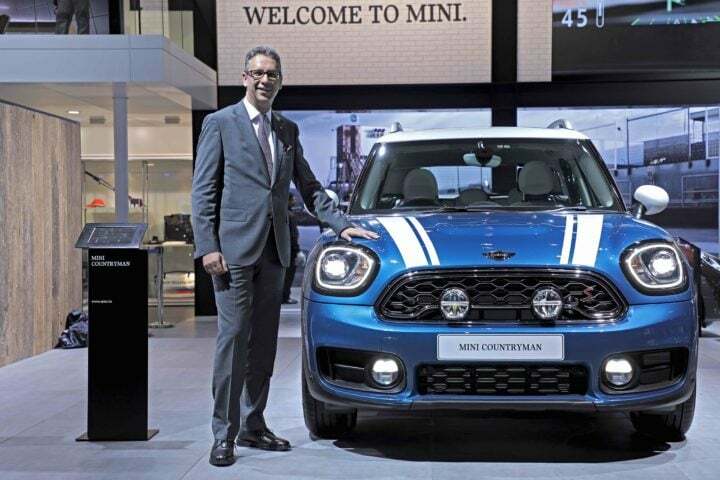 Locally-produced at BMW Group Plant Chennai, the all new Mini Countryman has made its India debut at the ongoing Auto Expo 2018. The new car will launch soon and will be available in three variants: two petrol variants – MINI Countryman Cooper S and MINI Countryman Cooper S JCW Inspired – as well as one diesel variant – MINI Countryman Cooper SD. Prices are yet to be announced. The all new MINI Countryman will be available with Leatherette Carbon Black as standard upholstery and Leather Cross Punch Carbon Black for the new MINI Countryman Cooper S JCW Inspired. The all new MINI Countryman will be available in five colors: Island Blue, Light White, Chilli Red, Melting Silver and Thunder Grey, as well as British Racing Green, offered exclusively for the MINI Countryman Cooper S JCW Inspired. The new Mini Countryman Cooper S JCW Inspired is equipped with John Cooper Works aerodynamic kit, rear roof spoiler and 18-inch JCW thrill spoke alloy wheels. John Cooper Works influence continues in the illuminated cockpit with the JCW sports leather steering wheel. The car is equipped with premium features such as the ‘Leather Cross Punch’ Sports Seats, Harmon Kardon Hi-Fi Speaker System, MINI Find Mate and the MINI Wired Package. The MINI Wired Package includes Navigation System Professional and MINI Connected XL 8.8” screen with Touch Controller and Bluetooth mobile connectivity. Mini Countryman Cooper SD features the Cooper SD engine for the first time in India that delivers 190 hp and 400 nm torque. With superior handling, no city corner or hill climb is a challenge. The Panorama Glass Roof and Electric Seat Adjustment with memory further add convenience and driving fun. Mini Countryman Cooper S offers more premium technology and design features than ever before. With the Automatic Tail Gate, Cruise Control, LED Headlight, Fog Light, Multifunction steering wheel, Centre armrest in front and rear and the Radio MINI Boost 6.5” as standard, the all new Mini Countryman comes ready for any adventure.